Lasting First Impression: Student Tour Guides Tell the Story. 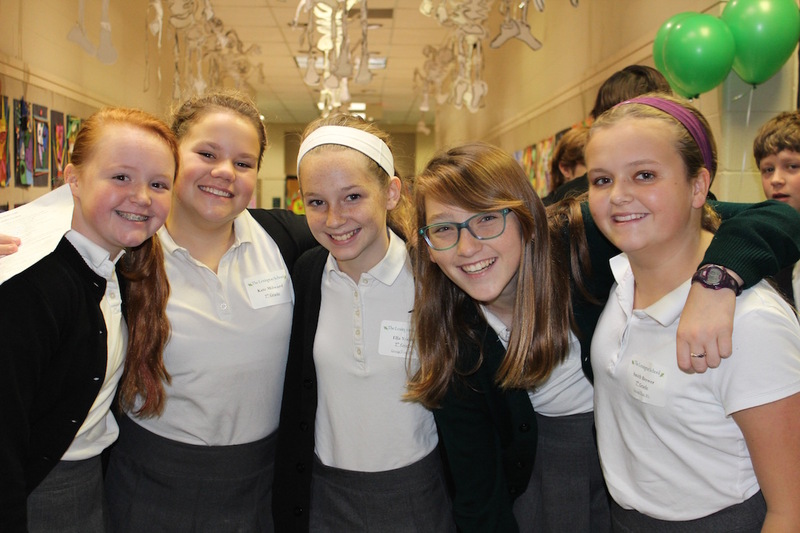 With Prospective Family Day right around the corner, a strong point of interest is the Student Tour Guide Program at The Lexington School. Some schools rely on the adults to tell the story because they fear the old adage “from the mouth of babes.” What on earth will the children say? The Lexington School Admission Office embraces those moments of honest expression, believes in the product of the school, its STUDENTS, and uses every opportunity to show, tell, and teach. This is why the tour guides at The Lexington School are 12 and 13 year olds. The following blog post, written by Lucy McKinstry, is an abridged/edited piece from “Pinpoints” Magazine 2013, and she explains in detail why the Student Tour Guide Program is a WIN-WIN. Lexington School students have been standouts since September 14, 1959, the morning the school opened. Along with rigorous academics, from that first day there has been a continued focus on speaking in front of a group. From youngest to oldest, TLS students learn to stand up front, look their audience in the eye, and speak their piece. It’s not easy. TLS student tour guides know this in spades. They embrace the opportunity to speak for their school, to speak for themselves, and they are the stronger for it. They are more self-confident, and they are more prepared for their next step when they leave TLS. Members of the group are recommended by their teachers, tapped by the Admission Office, and in many instances – and this is warmly applauded – have volunteered on their own. They know it is an honor and a privilege to give tours. on becoming an effective tour guide. It is a comprehensive lesson in communication and presentation, skills that every person needs to master. Encouraged to tell their own stories about their own positive TLS experiences, the students work hard to personalize and polish, as they emphasize what they hold dear about the school. Aside from regular classes, those selected seventh and eighth graders get a full course in public relations, marketing, sales, and etiquette. It is no light commitment. Geriann Blevins, Director of Admission, works closely with the group, helping to ensure that each student tour guide is well informed, well trained, and thoroughly enjoys the experience. TLS Student Tour Guides–show the way.